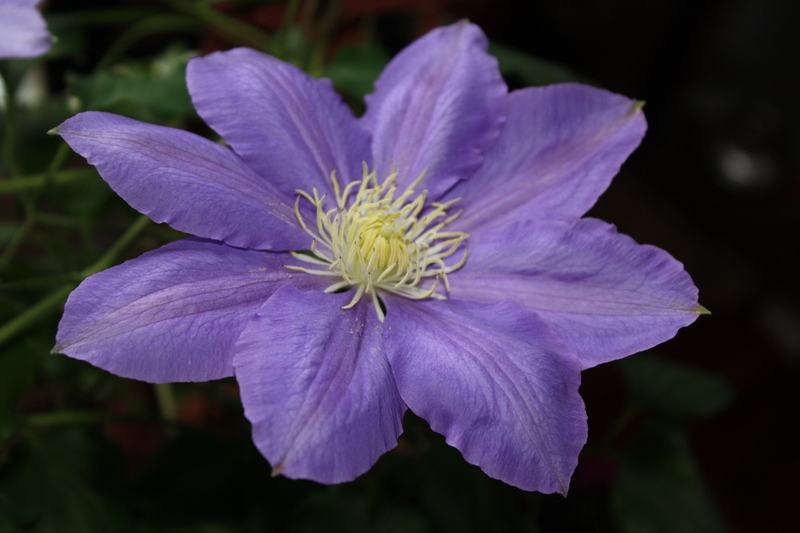 The special flower of this day is Clematis, the fragrant virgin’s bower. The Feast of the Assumption of the Blessed Virgin Mary is a day of great importance to those who honor Great Mother. It’s a celebration that dates back to our early ancestors, those who honored the Divine Feminine as a way of daily life. Celebrated on August 15th, the feast of the Assumption commemorates Mary being received into heaven and crowned as Queen, and evolved from ancient traditional harvest celebrations held at this time of year, the annual blessing of fruits, herbs and flowers. Mary assumed the role previously played by Hecate/Trivia and Artemis/Diana, both of whom were traditionally honored on the full moon of August as the protectress of herbs, flowers and fruits, and particularly of grapes and grain. In ancient days the calendar was based on lunar phases and each month began with the new moon, thus August 15 would have fallen on a full moon. The Feast of the Assumption was proclaimed a special feast day in honor of the Blessed Mother in 600 A.D. in the East, and was adopted approximately 50 years later in the West. The story of Mary’s Assumption comes down to us from ancient stories called the Obsequies of the Holy Virgin, which were written in Syria at the beginning of the third century. One of these stories, called “The Departure of My Lady Mary from this World,” describes how Mary’s body was lifted up into Heaven. These early stories say that Mary’s Assumption took place at Ephesus, where she lived under the care of the apostle John. 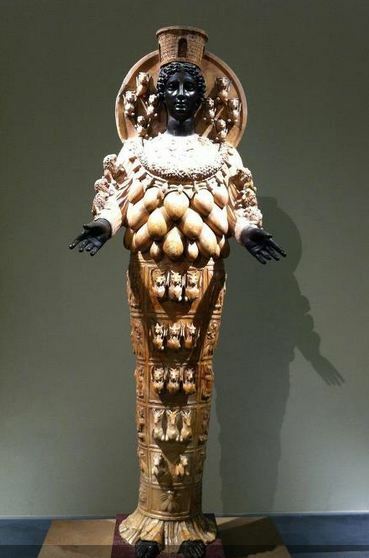 Ephesus was the site of one of the most renowned sanctuaries of Artemis and the home of her well-known statue with many breasts, symbolizing the productive and nurturing powers of the earth. 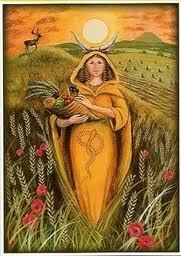 Our Mary, well known for her nurturing and protecting qualities, clearly carried on this role. In the East, where the Assumption Feast has its roots, the day is still commemorated with elaborate ceremonies for the blessing of fruit trees and grain. In modern Syria, both Moslems and Christians celebrate the Feast of the Assumption in similar ways. 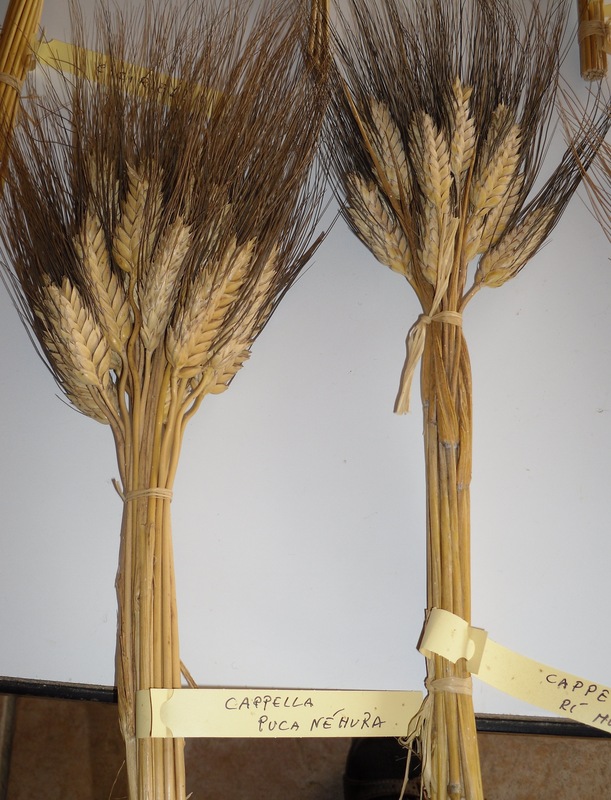 They make bouquets of newly harvested wheat and bake small triangular cakes. These gifts are graciously offered to Great Mother, as was the way of their ancestors for many millennia before Mary. In many Catholic countries throughout Europe, Assumption Day still marks the period for invoking blessings on vineyards, herbs and grain. Traditionally, freshly gathered herbs are carried to the church on this day to be blessed and then used for medicine and healing or bound into a sheaf and hung in the home all year to protect against infirmity. Throughout central Europe, this feast was also known as Our Lady’s Herb Day and it marked the start of Our Lady’s 30 Days, a period of special benevolence lasting for one full month. During this time animals and plants were believed to lose any harmful qualities and all foods were considered wholesome. This period of munificence coincides with the Weeks of Comfort, seven weeks following the full moon in the Jewish month of Av during which the spiritual readings are comforting, promising peace and prosperity. Armenian communities all over the world still bless grapes on Assumption Day and also celebrate it as the name day feast of all the local women and girls named Mary. 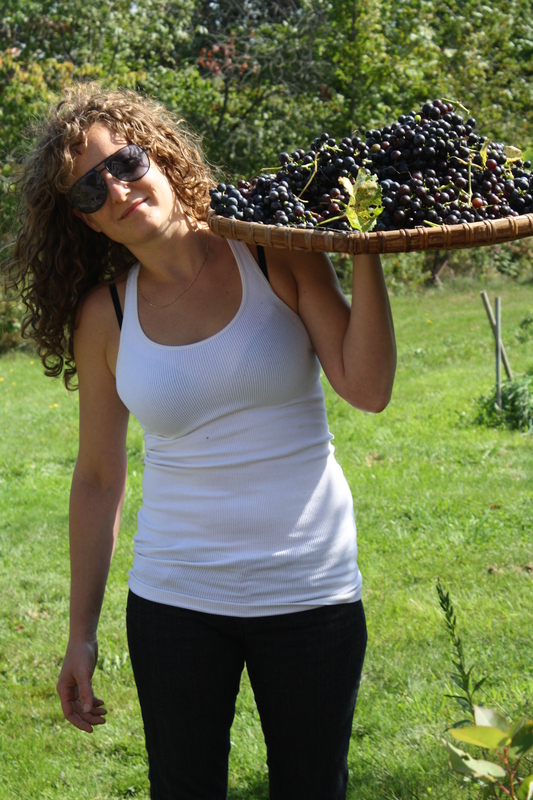 Large trays piled high with freshly harvested grapes are carried to church to receive the blessings of the priest. After Mass the people assemble in the vineyards to eat grapes and celebrate the village Marys. 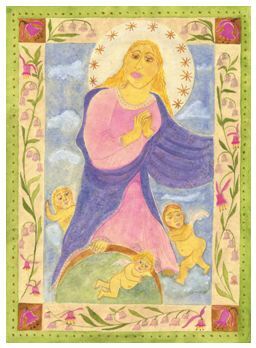 When Pope Pius XII proclaimed the Assumption an article of faith in 1950, Carl Jung perceived it as a critical juncture in Western culture; the image of the divine feminine was coming back into the light. The Queen of Heaven was being acknowledged once again in the West. In Greece, the Assumption is called the Dormition or Kimesis (Sleeping), and is the most important of the summer holidays. During this full month devoted to Mary her icons depict her dead on a bier, with Christ behind her, holding her soul in his arms like an infant. One description of the Kimesis celebration as held at Kefallonia tells of snakes called “the snakes of the Virgin,” slithering over the sacred icons, the offerings and the people in the congregation. In other parts of Greece the Dormition is celebrated like Easter, with funeral ceremonies and processions for Mary, like those marking Christ’s death on Good Friday. You might choose to make some time on this sacred full moon day in August to honor Great Mother, as has been done for many,many millennia before us. Step into the timeless dance of feminine grace and beauty, celebrate the harvest and the bounty of Earth Mother, by whatever names or attributes you know her. It is the way we woman have been loving her back for a very long time. excerpted from Through the Wild Heart of Mary; Teachings of the 20 Mysteries of the Rosary and the Herbs and Foods Associated with Them. This entry was posted in Uncategorized and tagged Assumption of Mary, Mary, Queen of Heaven, Rosary. Bookmark the permalink.